Sunday School - a Memory of Acrefair. I remember going to Sunday school here from aged 9 till aged 12 when I started at St John's in Rhosymedre. It seemed a long & lonely walk from Cefn along the corrugated fencing road - inhaling the Monsanto fumes - and back again for a 9 year old. Very sad to think it's just not there any more though! The photo of St. Paul's church brings back many memories. 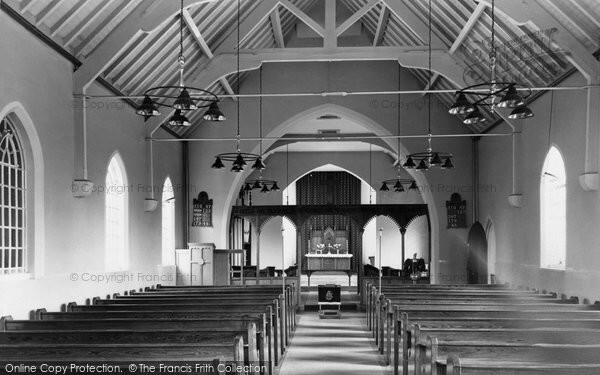 I was born in 1931 and regularly attended St. Paul's until I was married in December 1952 at St. John's church, Rhosymedre, when my husband and I left the area. My family and I regularly attended St. Paul's and always sat in the pew behind the Warden's pole on the right. We also attended Sunday School every Sunday and I recall one of the teachers was Miss Samuels. My mother, Mary Dean, was responsible for decorating the middle window at the back of the church for Festivals. My parents, Mary and Albert Dean are buried in St. John's churchyard, Rhosymedre. My family visited their grave in September and restored it to almost new condition. Our house at 9 Rock Lane has been demolished. Add a memory of Acrefair.